1. Truth dominates I John 1:1-4. It is used five times. John says he loves the elect lady and her children “in truth.” He then says all who have known the truth love her also. This truth abides in them and will be with them forever. Jesus is the Son of the Father “in truth.” Finally, John rejoices that some of her children are walking in the truth. These verses show the various ways John uses the word “truth.” Truth is a path, a way of living (See I John 1:6, 2:4). Those who claim Christ, but do not obey Him are not walking in the truth. 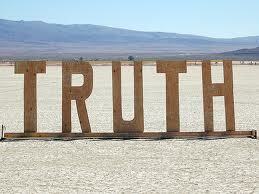 Truth also abides within us. In particular this is a reference to the Holy Spirit, who is the Spirit of truth who lives in us (John 14:17, 15:26, I John 4:6, 5:6). The truth also binds us together in love. John loves this elect lady because they are both in the truth. Truth is something we know (John 8:32). But ultimately truth is Jesus Christ himself (John 14:6). He is who we know, the foundation for all our doctrine and theology. He is the one who showed us the Father’s love that we might love one another. He is the one who binds together various people and churches in truth. He is the one that sent the Spirit of truth to dwell among us. Finally, he is the path of truth we are to walk. If we want to know if we are walking in truth, we need only look as far as Christ himself. b. This commandment is an old one. c. This commandment is to love one another. d. We love one another by obeying his commandments. e. We should walk in this commandment. John does not see any conflict between love, truth, and obedience. For him they are all threads in the same tapestry. If you pull one string out the whole thing begins to unravel.